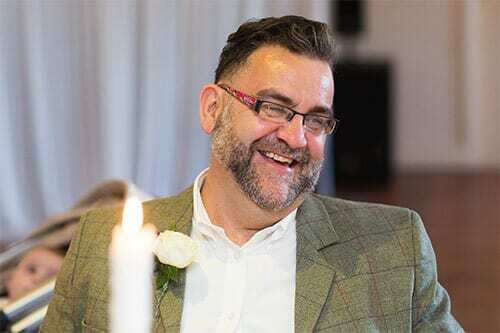 "We would like to say a huge thank you to Ian for giving us such an amazing evening. 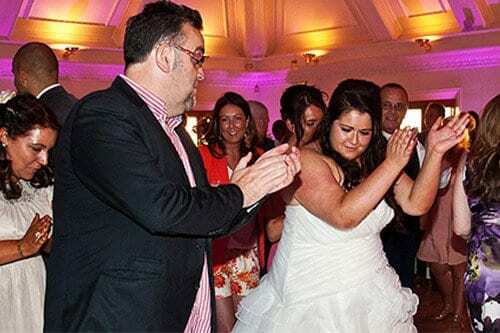 We couldn't fault the music selection, he read the dancers perfectly." 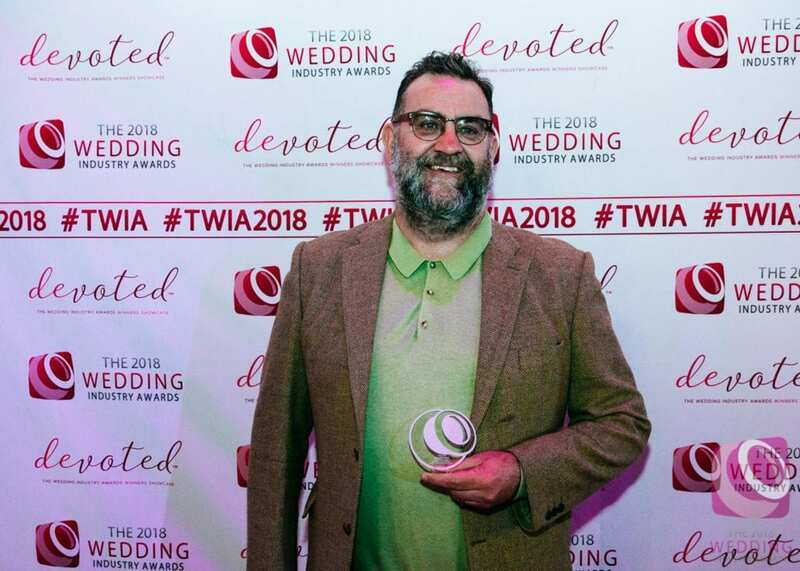 "Ian remembered little things we had said during our meetings and use them on the day to to make it feel like a real personalised service and to help make it extra special for us"
"Many thanks to Ian who we booked for the whole day of our wedding. We couldn't have asked for anymore from him, from the music for the ceremony to the evening reception. The music that he played was more than we could have hoped for and he kept the dance floor full for the whole evening, ." Are you looking for a Master of Ceremonies and wedding DJ Hertfordshire who puts smiles on you and your guest’s faces and their feet on the dance-floor? Who can guarantee that every detail of your Hertfordshire wedding DJ will be perfect and filled with fun, smiles and laughter? ….. 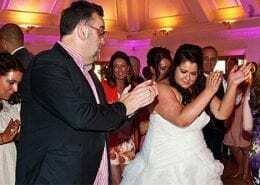 Brilliant, let’s have a chat then, I’ll show you how I will guarantee you have the best wedding DJ Hertfordshire, a wedding both you and your guests will remember for years to come. Selecting the right Wedding DJ and Entertainer to represent you will make your special day one of the most memorable events in your guest’s lives. Select poorly and that memory will be forever in their minds. Remember, if a guest has a bad tasting meal or a poorly mixed drink, they will be the only one who knows. If your DJ or band plays the wrong tunes or if a singer performs badly during your ceremony, everyone knows. You’re planning to spend a lot of money on your cake, dress, venue, invitations etc all to look perfect on your wedding day. Don’t skimp when it comes to the talent! The entertainment is one of THE most important elements of your big day. Selecting the right Wedding DJ and Entertainer to represent you will make your special day one of the most memorable events in your guest’s lives. Select poorly and that image will be forever in their minds. Remember, if a guest gets a bad meal or a watered down drink, they will be the only one who knows. If your DJ or band plays the wrong tunes or if a singer during your ceremony performs badly, everyone knows. You’re planning to spend a lot on your cake, dress, venue, invitations all to look great. Don’t skimp when it comes to the talent! 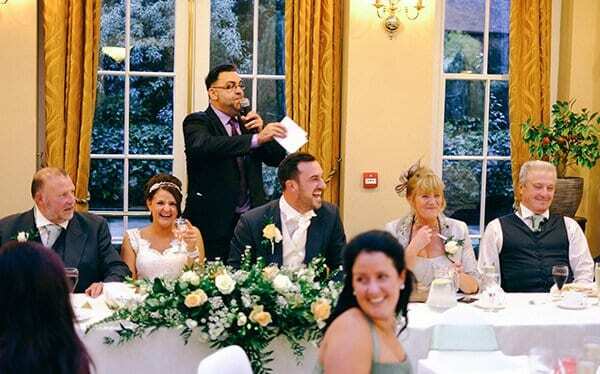 The music and entertainer are one of THE most important elements of your big day. So much more than a wedding DJ! Thank you so much for being our Master Of Ceremonies, for getting the guests up and dancing and for making our amazing wedding completely stress free! With my extensive experience, I guarantee your perfect wedding day by chatting with you and tailoring my service to create your dream day. This experience along with my extensive music collection and knowledge, means that I am able to play the perfect songs to create a fun filled dance floor making memories to last a lifetime. 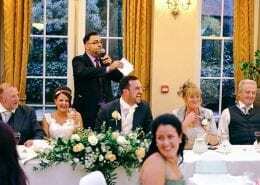 I am a skilled wedding Master Of Ceremonies, which is a vital element in any wedding celebration. With my outgoing and fun personality, I can make all your important announcements, introducing your toasts and speeches, your cake cutting and make sure your first dance is an amazing memorable experience. When you book me to DJ at your wedding or party, you have booked a DJ that will get to know you, and in our conversations I will find out every aspect of your perfect celebration, and by working together, make sure your event is the celebration that you and your guests will remember for years. You also get access to your own unique easy to use online planning pages of my website, where you can create the perfect playlist for your wedding or party. “Thank you so much for such a wonderful night! I have entertained at over 3,000 celebrations, and the greatest gift I can give to you is share the knowledge that I have gained through this experience. Trust me to guide you through your wedding entertainment options. I will listen to what your dream wedding day is, and using my experience and knowledge I will offer you ideas to guarantee your dream wedding. By the end of our meetings, you have all the ideas you need for your perfect wedding day.